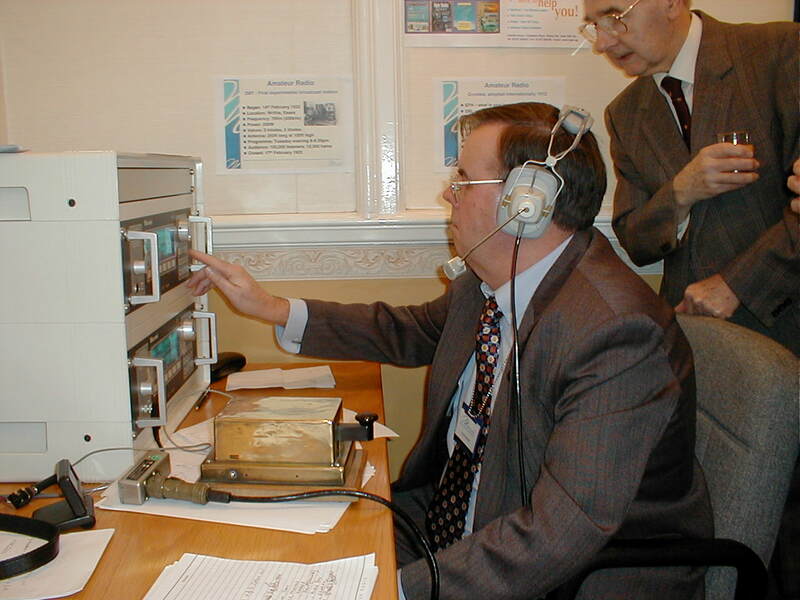 CARS members were privileged to be able to use the Radiocommunications Agency (now Ofcom) Special Event Callsign 2MT (Marconi Telegraph) for use on the 12 December 2001 to celebrate the transmission of a Wireless Telegraphy signal across the Atlantic by Marconi. To put the Callsign in context this page describes the brief history of the period around the time when 2MT was used originally in Chelmsford. It also prepares the ground for an application to Ofcom to release a cherished Call-Sign for a Special Event Station(s) to celebrate the closing of the New Street factory after 96 years when it passes to the ownership of Ashwell Properties of Cambridge on 1st July 2008 for redevelopment. 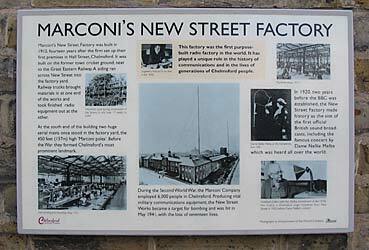 The front of the New Street factory is Listed - it would be nice to have part of it as a Museum in memory of Marconi and to record for visitors the history of the site with one room which could house a radio transmitter for occasional use. 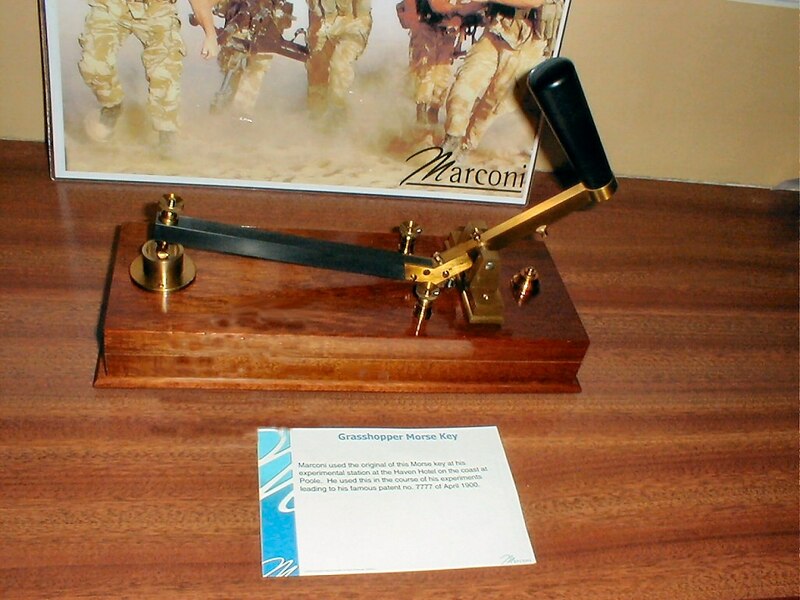 Marconi came to England in 1896 and was invited by Sir William Preece, Chief of Engineer to the General Post Office to demonstrate his "Wire-less" invention. 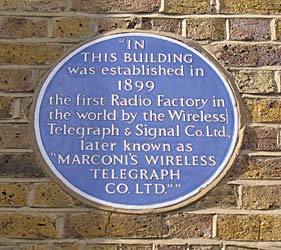 After a few years Marconi had been awarded sufficient contracts for him to require a permanent factory and took over an abandoned Silk Mill in Hall Street, Chelmsford in December 1898. By 1911 the Hall Street factory was just not big enough and so the cricket ground alongside the railway station in New Street was acquired and London Architects Dunn & Watson were commissioned to draw up plans for the first purpose built radio factory. The new factory was started in February 1912 and quickly completed in just 17 or so weeks later using 500 bricklayers. As the building was nearing completion the Titanic sank and this gave further impetus to the fitting of "Marconi Wireless" to large ships - great timing. 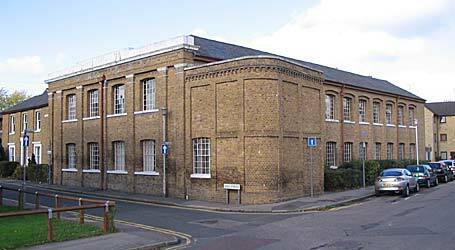 The New Street factory was complete by June 1912 and delegates of the first International Radiotelegraphic Conference (nowadays the ITU) in London were brought to Chelmsford and shown around. At the same time the factory was being built two 750ft high steel masts were built to support the large aerial required at that time for the Long Wave frequencies used. The outbreak of WWI in 1914 provided more contracts. Competing transmitters & receivers meant that sometime about 1919 Marconi purchased a number of ex-Army wooden huts and located them at Writtle. These were used for mainly for development, including airborne wireless sets. To test the transmitters made at New Street it was common practice to power them up to the aerial and to engage people to read railway timetables or similar mundane material. Letters were received by Marconi from people living quite a way from Chelmsford saying they could hear this inane information and some suggested reading more enlightened material. Local people were then informally invited to tell stories or even sing from a makeshift studio, this was documented in February & March 1920. The national newspapers picked up on this before Marconi had cottoned on to the possibility of making money using this activity. The Daily Mail paid Dame Nellie Melba to travel to Chelmsford by train. She was picked up in a chauffeur driven car, taken a long way around Chelmsford on a route advertised beforehand to waving crowds before arriving at the studio in New Street, just a few hundred of metres away. Her historic performance was very well received titlehough she realised that possibly future (paid) public performances may suffer if she was often "on the radio" - she never made a radio broadcast again. The Postmaster-General was not amused by such trivial use and withdrew the licence in November, 1920 on "interference grounds", in particular with Croydon airfield. The public clamour for re-instatement was substantial and due to pressure from the Wireless Society of London (later to become the RSGB) and the House of Commons - the Post Office eventually relented. Writtle had been previously used by the Marconi company for WW1 Aircraft radio development, but did not have the power (only 1kWatt) or tall aerials (only 450 ft) that New Street had. Its normal site callsign was 2BO. It is known that Marconi was very commercial and treated "Amateurs as people who were not making money and therefore should not be encouraged", however the media saw it differently and "wanted more broadcasting". Peter Eckersley and Noel Ashbridge were dispatched (eight in total) from New Street to Writtle with a new company name of Marconi Scientific Instrument Company Ltd, (maybe in case it was not successful?) to start broadcasting from the Ex-Army huts. To formalise this the Post Office issued a specific Amateur Transmitting Licence 2MT (2 Emma Toc) on 15, August, 1921 and first used at Writtle on St Valentines Day, 14th February 1922, when Marconi opened with a few words. 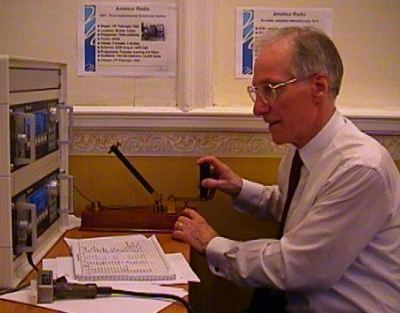 Telegraphic (Morse) transmissions to satisfy the GPO and the License conditions were first broadcast and then local people were invited to perform as was originally done at New Street. They had a lonely hearts club, competitions and songs from a West End singer named Nora Scott. It is documented that a tremendous audience was built up in a short time and it is considered Marconi could then see "he was onto something big". It is also thought that these transmissions were on higher frequencies than those being used at New Street. In May 1922 "2LO" was granted by the GPO for broadcasts from the top of Marconi House in London - public transmissions began July of that year. They received 200 letters asking them not to broadcast from 8pm to 8.30pm on a Tuesday since the station was interfering with Writtle! The media led the call to increase the service and many meetings were held in which Marconi took the lead and resulted in them being granted the main provider of studio equipment. It was called the British Broadcasting Company Ltd which was changed by Royal Charter to a Corporation five years later. Peter Eckersley of 2MT fame was the first Chief Engineer. Transmissions were stopped (with a letter from Marconi, London) from Writtle in February 1923 - perhaps because it was thought it would dilute interest from (Marconi's) BBC from London. The Licence was never actually withdrawn, the remaining member of Staff, Ed Trump continued occasionally to broadcast from time to time. Many of the original eight joined the BBC. It was considered 2MT had over 100,000 listeners at this time. In 1960 the "Hut" was re-sited and used as a Sports Pavilion for Kings Road County Junior School. 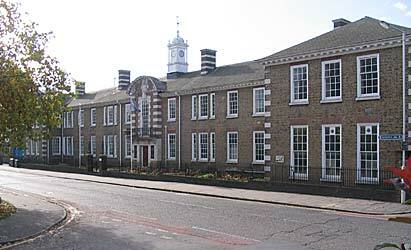 Later it was acquired by Chelmsford Borough Council and since 1992 resides at the Science & Industry Museum at Sandford Mill. The original site at Writtle is now a housing estate. CARS Members Trevor M5AKA, Murray G6JYB, Colin G0TRM & John G8DET. 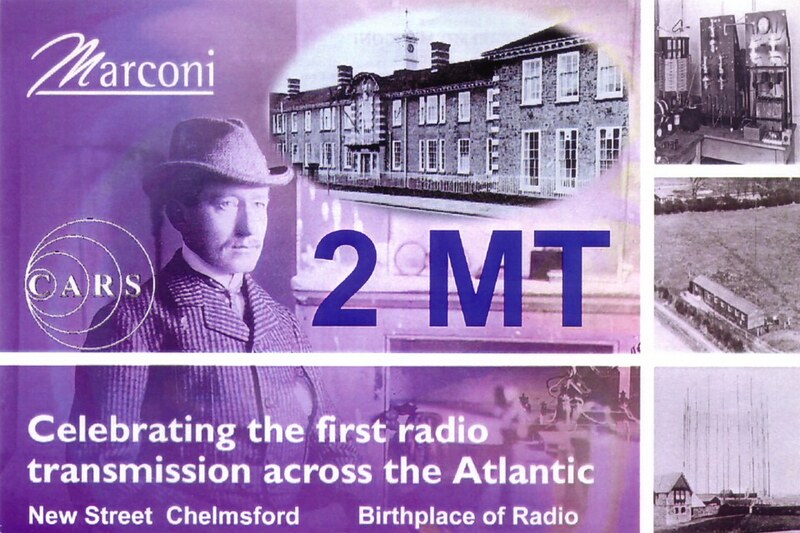 100 years after Marconi transmitted across the Atlantic, Marconi's & Chelmsford Borough Council suggested that "the event should be celebrated". New Street was the nearest Marconi building and so the front office rooms were decorated up and transmitters & receivers installed. 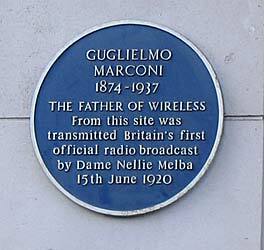 A Marconi Director obtained permission from the Radio Communications Agency to use the cherished Call-Sign 2MT. This was extremely sought after following the 2001 centenary event. Wednesday, 12th December, 2001 in Marconi's New Street, Chelmsford. 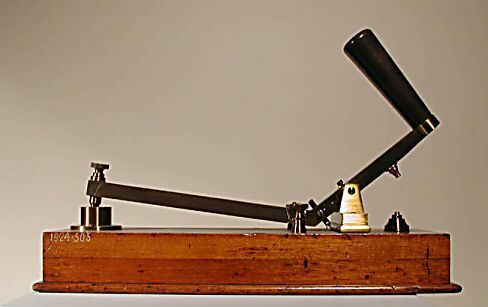 A reproduction of the early (1900s) Morse Key called The Grasshopper. The back cam was offset to disconnect the transmitter HT to send a space!. 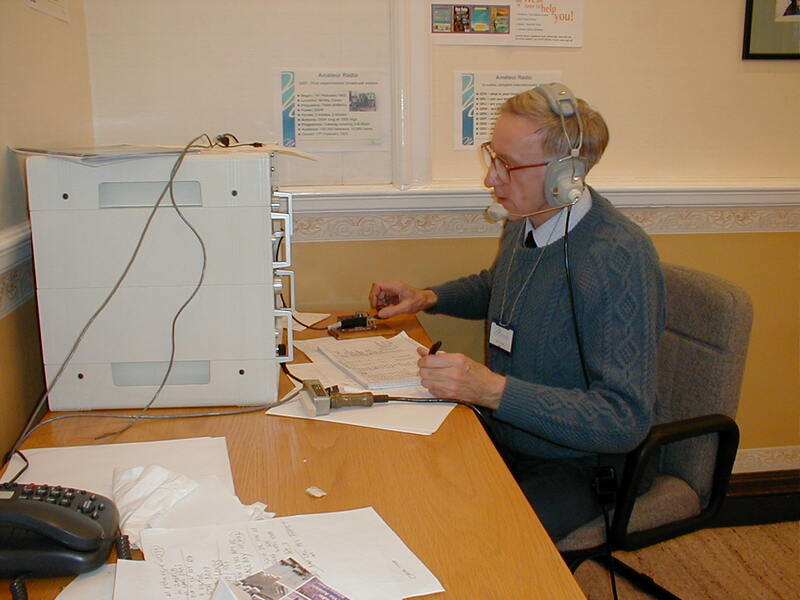 It took some operating skills to use - well done Donald, G0VIS; Colin, G0TRM and Charles G0GJS. Another view of the Grasshopper Morse Key. Group picture of Trevor, M5AKA looking at camera with Harry, G5HF on the right. Trevor was one of the organisers of the 2MT Event. 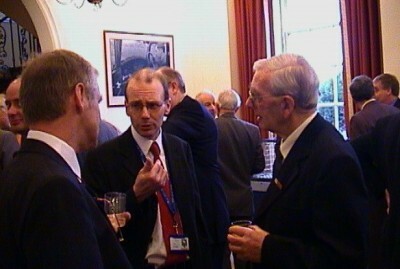 Left to right: Malcolm Salmon G3XVV - RSGB Representative, Trevor Hawkins M5AKA and Harry Heap G5HF, CARS President.